Camp Alabama: We’re talking with Amanda Treadwell today. She’s the Desoto Caverns park and campground manager in Alabama. How’s it going this morning, Amanda? Amanda: Oh, it’s going good, how are you? CA: I’m doing really good. Desoto Caverns Park looks amazing, and there’s a ton of different things to do there, a lot of which we won’t have time for in this particular discussion. 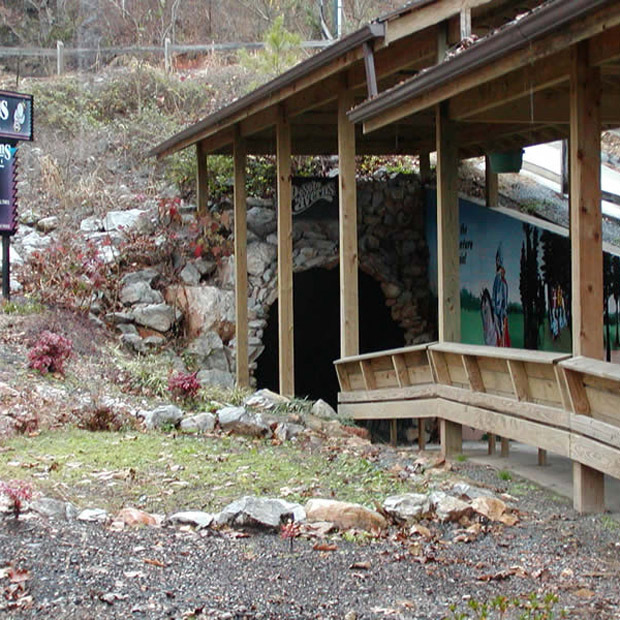 So let’s just start with the Desoto Caverns campground. How long have you guys been offering camping there? Amanda: We’ve probably been offering camping for I would say maybe over 10 years. We’ve been doing camping for a long time. CA: So quite awhile. And what types of camping do you have there? 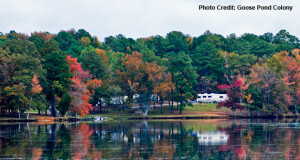 Amanda: Well, we have 16 campsites and we offer – you can bring your camper, you can bring your RV, you can bring your tent. We don’t have any rentals or cabin rentals or anything, but whatever you have, you can bring it. CA: What tends to be the most popular? Do you get more RVs, do you guys get many tenters? Amanda: I’d say 70% of what we get is campers and RVs, and about 30% is tents. CA: When someone comes down there and stays in the RV park, then they would pay, on top of that, they’d pay to go see the cavern? How does that work? Amanda: If you’re staying in the campground, you do get a discount off of tour tickets or attraction tickets or whatever you want to do. We also offer package camping, and we have special packages which include camping with tickets. There’s just numerous ways that we ring it up for everybody. CA: So the 25 attractions, are those sold as just one package? Amanda: We do have a wristband that you can buy, which gives you a tour ticket and it gives you unlimited outside attractions, so you can do as many things as you want to do outside. Or we also have family packs, which are our most popular seller, and it comes with a tour ticket and five attraction tickets per person. If the adults don’t want to use their tickets, you can let the kids use them and so on and so forth. But those are probably are bestsellers, are the family packs. 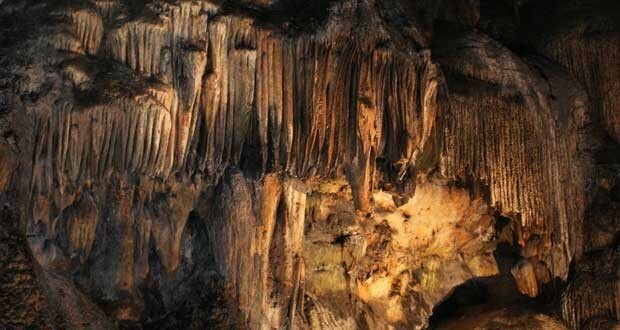 CA: Outside of the Desoto Cavern, what are some of the most popular attractions that people tend to go for? 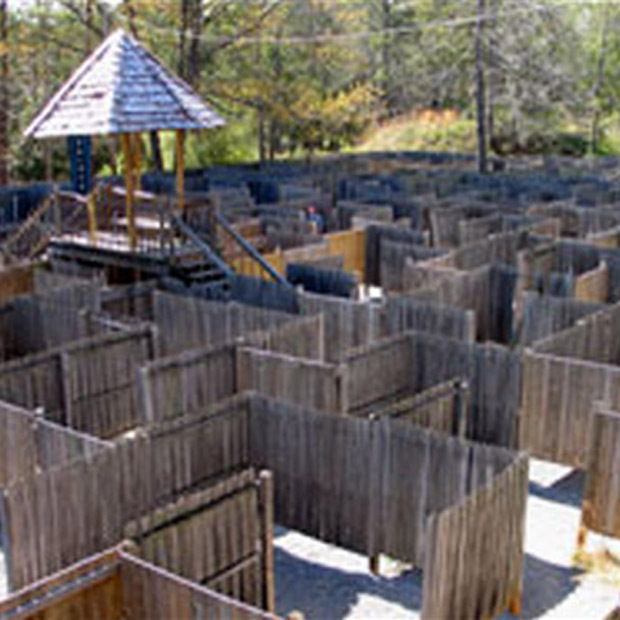 Amanda: The Lost Trail Maze is probably the most popular. It’s been around for almost as long as they’ve been building the park or whatever. It’s been here for a long time. And the panning for gemstones is really popular. The Cannon Wars, you go in there shooting balls at each other. That one’s very popular. Our Butterfly House, which is really popular during the warmer months. We have spin rides, water attractions. CA: Which one of the 25 attractions is your favorite? Amanda:I prefer panning for gemstones. It’s relaxing and you get to play in the water, and whatever gems you find, you get to keep. CA: Oh, that’s pretty cool. Amanda: That one, since I was a little girl, has been my favorite. CA: Is there a certain campsite or a certain spot that you would prefer to camp if you were going to camp there we can tell our visitors about? Amanda: Well, if I were going to tent camp, I would prefer the primitive area, just because it’s not in the middle of everything that’s going on with the campground; it’s a little quieter up there. But if I were staying in a camper, I would probably want any site from 1 through 6, just because they’re a little bigger than all the others and a little easier to get into. CA: Perfect. That’s exactly the kind of info we’re looking for to get a little bit of inside info on the park there if someone’s going to come and visit. CA: All right. Thank you so much for taking some time out of your morning to chat with us, and we will go ahead and get the word out on 50Campfires.com about Desoto Caverns campground. Amanda: All right, well, thank you.